Camping is the newest way of enjoying leisure. 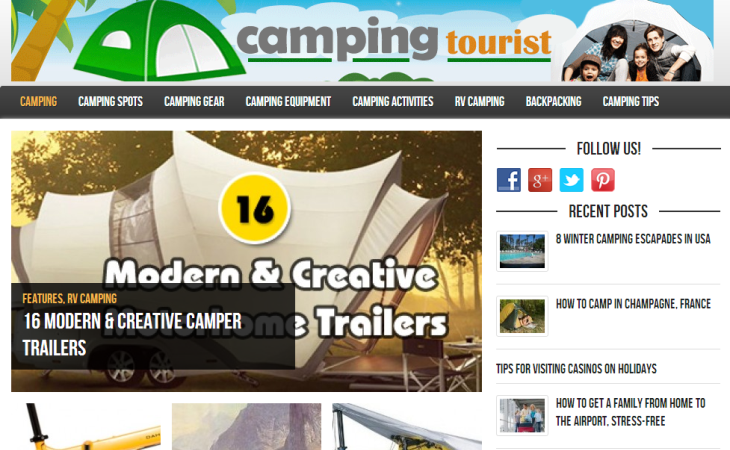 campingtourist.com was launched with the idea of keeping the fast growing tribe of campers informed about the latest in the world of camping. campingtourist.com is a website that is dedicated to camping and activities related to it. The site covers complete reviews of different camping destinations around the world. It also provides credible and in-depth information on the camping gear available. It includes articles on different types of camping such as caravanning and RV camping too.